When Suzy R. Welch ’81 falls in love, she falls hard. As an undergraduate working at The Crimson, she discovered her love for journalism. As a graduate student at Harvard Business School, she discovered her love for business—its potential and problems. And as editor of the Harvard Business Review (HBR), she discovered her love for Jack F. Welch. She met Welch, the retired CEO of General Electric, on October 11, 2001—the date is engraved on her wedding band, she says—to interview him for an HBR article. She then wrote the article, she recounts in her spacious Boston home, adding that it had been edited and shipped into production by the time she flew down to New York City in late December to take a photo with Welch, who was married at the time. After a lunch together, which in her words “was the longest in the history of mankind,” and dinner later that evening, Jack and the future Mrs. Welch realized their relationship was a romantic one. The next day, she called her boss Walter Kiechel ’68, editorial director of Harvard Business School Publications, to tell him that he should pull the article she had written on Jack Welch. Four months later, she resigned. And indeed, Welch says that she does not miss her old job. “Winning,” the book written by the couple and published last year, has sold two million copies, according to Suzy Welch. They also write a syndicated column for The New York Times and a weekly column in BusinessWeek. Welch also writes her own column on women’s issues in O, The Oprah Magazine. “I knew I was going to be a journalist, and that was it—full stop,” Welch says of her college days. A fine arts concentrator focusing in Dutch art, Welch was also features editor of The Crimson. According to Erica Rosenberg ’81, her roommate for three years in Thayer Hall and Lowell House, she also played in the University Band and was captain of the squash team. “She was actually really quite the jock,” Rosenberg says. “She brought a lot of flare to her work. She was very creative in what she did,” remembers Susan K. Brown ’81, who was city editor at The Crimson. Paul M. Barrett ’83 says he dated Welch when he was a sophomore, after they met at The Crimson. “She was one of the big shots when I was a nobody there,” he says. After graduation, she interned at The Washington Post for three months, where she had the opportunity to write stories about the air traffic control strike of 1981. She then took a reporting position at The Miami Herald, where the term “crazy 80s” took on a whole new meaning. In a move she calls the “nuttiest thing,” she applied to the Business School. She considers her acceptance a fluke, but she ended up a Baker Scholar and landing a job at a consulting firm after graduation. She attributes her success to her ability to write articulately and ask questions imperturbably. Her tenure at the Associated Press also gave her the management experience that other students lacked, she says. 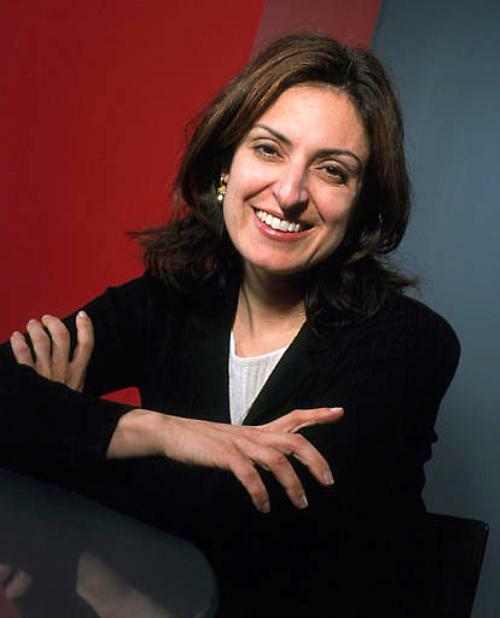 After working in consulting and having four children, she joined HBR in 1996 and worked her way up to becoming editor. Today, she is proud of having increased the journal’s frequency of publication from six to 12 times a year. And then, a year after divorcing Wetlaufer, love for a source struck. Welch says she understands why journalists jumped on the story. Some HBR editors called for her resignation in the spring of 2002, according to a Crimson article. She was then put on what she calls a “house arrest kind-of-thing,” where she was not allowed to enter the HBR building. When asked where she personally draws the line between objectivity and getting too close to a source, she says that when a relationship with a source “compromises your judgment to write a fair and balanced story,” you have violated the principle. But the answer to this “eternal question of journalism,” as she calls it, is still not concrete for her. She admits, however, that she is not the one to ask for a definitive answer to the question of how close is too close. Some of her colleagues in the field have told her that she violated one of the most essential codes of journalism, she says. Others have told her that she did the right thing by stopping the story from ever being printed. Regardless, she says she has no complaints and does not blame anyone. —Staff writer Katherine M. Gray can be reached at 1kmgray@fas.harvard.edu.